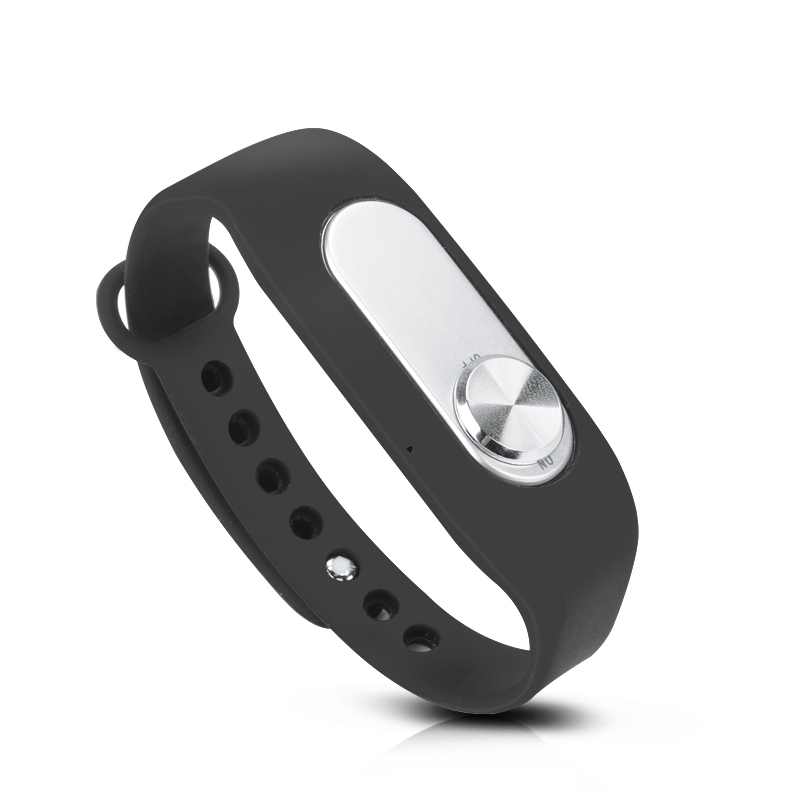 Successfully Added 4GB Bracelet Voice Recorder - 20 Hours Usage, Up to 70 Hours Audio Storage, One-Key Recording, WAV to your Shopping Cart. Is life that busy that you struggle remembering everything? Need an easy reliable way remember everything without stopping to take notes? Problem solved, with this stylish digital voice recording bracelet. using 128Kbps fidelity recording this light weight bracelet brings you 20 hours of note taking. A 4GB built in memory will record up to 70 hours of audio. Used for recording lectures, remembering appointments, keeping your to do list or just for remembering the shopping list you can take notes any time and place with the one button recording and don't need a pen or paper. Support for Windows systems 2000, XP, Vista and Win 7 this bracelet recorder can plug into your computer via its USB port to let you copy off saved recordings. It's fashionable design is thanks to the adjustable silicon strap keeping it securely attached to your wrist even when exercising. At a fraction over 20 grams this light weight not taking device wont weight you down and fits just about any wrist size. This Stylish Bracelet Recorder comes with a 12 months warranty. Brought to you by the leader in electronic devices as well as wholesale recording gadgets..